If you read an earlier blog post of mine called Everything You Need to Know About Getting a Tattoo in Thailand, then you will know that I have a tradition of getting new ink every time I travel overseas. My latest instalment was homage to Katsushika Hokusai’s ‘The Great Wave off Kanagawa‘ painting, which is one of my favourite works of art. Whilst I am (for some absurd reason) passionate about the painful process of tattooing, I do hold myself to some strict guidelines when choosing what designs to eternalise on my body. Personally, I prefer ink that tick three boxes; being androgynous, ‘less-is-more’ and monochromatic. In other words, nothing that pops up when you search ‘travel tattoos’ on Pinterest. I have curated a selection of tattoos that – for my fellow minimalists out there – abide by these three personal rules. 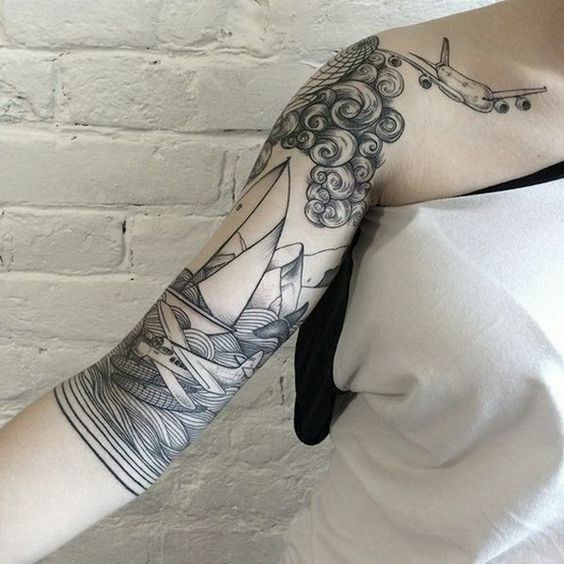 Whilst I do not see myself getting a sleeve (or half-sleeve, for that matter) anytime soon, I do have a soft spot for this particular idea. The sketchy design makes for a softer look, and the airplane extending from the arm onto the collarbone creates flow and direction. 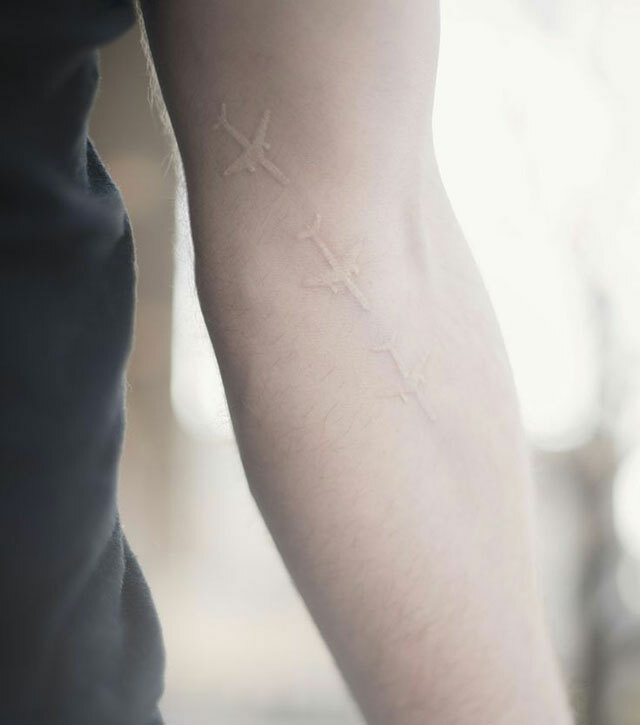 There are a lot of horror stories floating around out there about white ink gone wrong, but if you have a tattoo artist who knows what they’re doing, the results can be stunning. 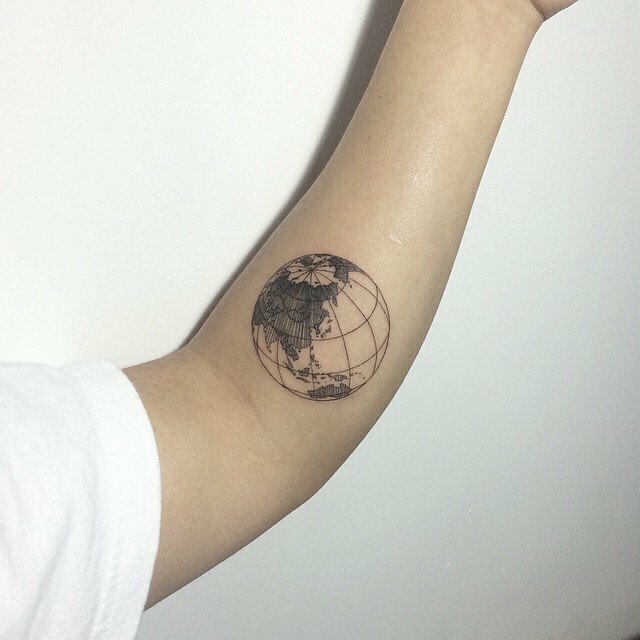 This is a stylish alternative to the clichéd two-dimensional world map that dominates any post titled, ’15 Tattoos Everyone Got in 2016′. 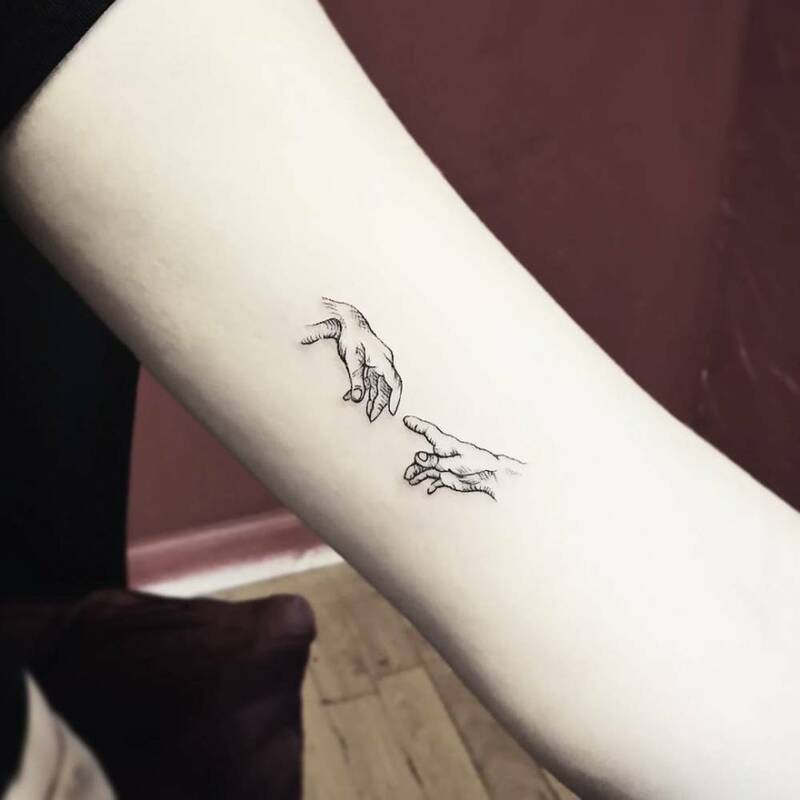 A tattoo that I myself am considering getting in the future (albeit a different location), this would pay gorgeous tribute to Michelangelo and the renaissance artwork of the 12th-15th century on a trip to Italy. 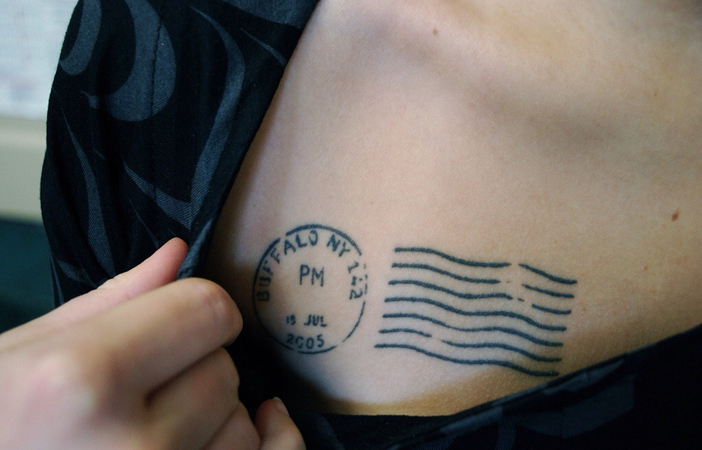 It doesn’t get much more hip than a postage stamp inked into your skin. An innovative way to celebrate a specific point and place in time, it’s simple yet captivating. What are your ‘rules’ when it comes to tattoo designs? I’d love to hear from you and see your favourites are!